It’s that time again when it becomes necessary to eat, drink and be merry. We can’t help with the eating, but we can certainly help with the drinking and the merriment. In this Christmas Kraft Werks guide to giving the gift of beer, some suggestions on which beers to enjoy with your Christmas dinner and even a recipe for mulled beer! We stock a range of over 20 unique and beautifully presented sharing bottles that would make very special gifts or stocking fillers. 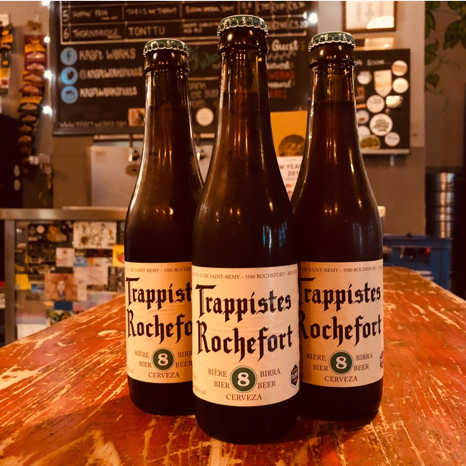 Starting from just £8.45, you’ll find some of the best beers from across the world in our sharing fridge, from a log cabin in the woods of Oregon to an ancient Belgian cellar and just over the border in New Mills, Derbyshire! As always, our Kraft Credits gift cards are available and make life easier if the decision making is leaving you baffled. We also have gift boxes available that make presenting your beery gifts a breeze. With all the time and effort that goes into putting together the feast of the year, your Christmas dinner deserves only the best liquid partner. We’d go with a Belgian Dubbel or strong dark ale, like Trappist Rochefort 8. The strong malt flavours of caramel, toffee and bread go perfectly with roasted meat, and rich fruity notes of plums, figs and red berries compliment the sweetness in all your trimmings. For vegetarian meals, we’d choose a saison or farmhouse pale, which have more of the earthy, herbal and spiced notes that would compliment nut roast, stuffing and the like beautifully. 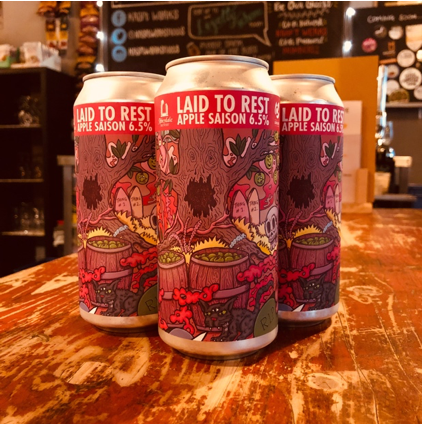 Laid to Rest by Abbeydale is one of our current owner's favourites. There is one choice that just makes absolute sense. A rich, full-bodied and boozy stout pairs absolutely perfectly with Christmas pudding, and we’ve got plenty to choose from! Mælk Shake from Denmark’s To Øl is definitely up to the job. Why should wine and cider have all the fun at Christmas? Try making up your own malty alternative! Sling 2 bottles of beer into a saucepan. Something with a strong malt presence that will pair with the festive spices is essential. We used Delirium Nocturnum, a Belgian strong dark ale that already features notes of caramel, mocha, spices and liquorice. Or you can even use a Barley Wine. Now add a stick of cinnamon, a few cloves and some star anise. Add a little honey to taste and heat the whole lot slowly and gently, until all the flavours have developed and mellowed out. Sieve all of the bits out and serve with a fresh stick of cinnamon. Yum! With Christmas over and done with for another year, there is still the small matter of New Year's Eve. Here at Kraft Werks, we’ll be celebrating in the same style as always, which means DJs, free pizza and free beer on arrival. This will be a ticketed event with a limited number of spaces, so make sure you grab one early. They’re £5.50 each and available in-store now. From all at Kraft Werks.